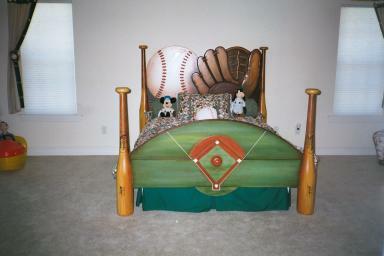 This Bed like all our others can be customized to your specifications and modified to any size. 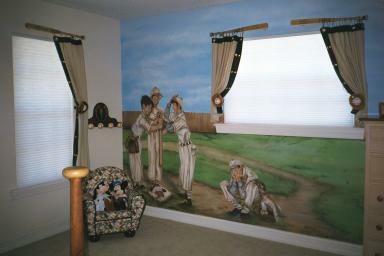 Hand Painted Furniture with Murals and Faux Finishing. Using our unique Art Effects on a custom designed piece of furniture we create and hand paint in our shop or one of your own, you will be guaranteed artwork that will make a lasting impression. 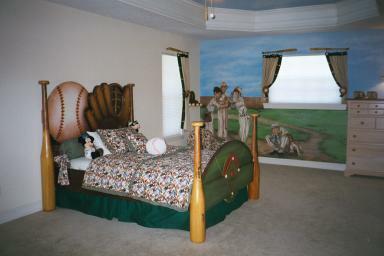 Since each one of our custom beds and wood cut outs are custom designed and painted, personnel coorespondence is necessary.